How many times a week do you hear the words ‘modular’, ‘mobile home’, ‘prefab’ and ‘manufactured’ used to describe what the modular housing industry builds? I see it just about every day and if you are a modular home builder you also hear it a lot. Mobile Home, Double Wide, HUD and Manufactured homes are usually defined as a home regulated by federal law (Code of Federal Regulations, 24 CFR 3280): "Manufactured homes are built as dwelling units of at least 320 square feet (30 m2) in size with a permanent chassis to assure the initial and continued transportability of the home.”, the requirement to have a wheeled chassis permanently attached. They are built to the HUD, not IRC, building specifications and are the second largest type of homes built after site built homes. Prefabricated, Prefab, SIP and Panelized homes refers to any part of a building that has been assembled offsite in a factory or manufacturing facility and transported in complete or sub-assemblies to the construction site. It is a broad term and refers to a number of different systems or processes, including structural, architectural and services elements. Even trusses, doors, windows and kitchen cabinets are prefabricated making the home a prefab but site builders will never admit that they are actually building a prefab house. A lot of them use panelized walls and trusses and I don’t know a single builder that fabricates their own windows, doors or kitchen cabinets on the job site. Modular, System Built and Mod homes consist of multiple sections called modules. "Modular" is a method of construction differing from other methods (e.g. "stick-built" and other methods such as off-site construction). 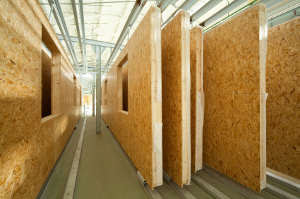 The modules are six sided boxes constructed in a remote factory, then delivered to their intended site of use. Using a crane, the modules are set onto the building's foundation and joined together to make a single building. The modules can be placed side-by-side, end-to-end, or stacked, allowing a wide variety of custom configurations and styles in the building layout. 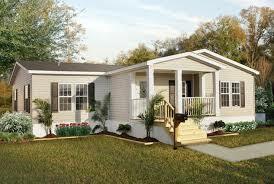 Modular buildings differ from mobile homes, which are also called manufactured homes, in two ways. First, modular homes do not have axles or a frame, meaning that they are typically transported to their site by means of flatbed trucks. Secondly, modular buildings must conform to all local building codes for their proposed use, while mobile homes, made in the United States, are required to conform to federal codes governed by HUD. There are some residential modular homes that are built on a steel frame, referred to as on-frame modular found mostly in the South and Southwest, that do meet local building codes and are considered modular homes rather than mobile or manufactured homes.